Washington, D.C. — The American Iron and Steel Institute (AISI) Standards Council selected five winning research proposals for its 2018 Small Project Fellowship Program. Launched in 2014, AISI’s Small Project Fellowship Program identifies and provides funding for research projects that will significantly impact the reliability, performance, and cost-competitiveness of cold-formed steel (CFS) framing products in a variety of end-use applications. Thermal Bridging in Cold-Formed Steel Structures – University of Massachusetts Amherst. This project will survey existing structures to determine the magnitude of the energy loss in common cold-formed steel structural/cladding systems, and model these systems and perform parametric analysis via three-dimensional heat transfer software. It will provide a better understanding of the role of thermal bridges in the total energy use of a typical cold-formed steel-framed building. The findings will have potential to provide the fundamental research to begin to propose effective mitigation strategies for cold-formed steel structural and cladding systems. Investigation on Bolted Connections in Cold-Formed Steel Members Using 1429 SAE Bolts — University of North Texas. This project will collect literature on the testing and analysis of 1429 SAE bolts with a focus on connection tests and material tests, create a test database for 1428 SAE bolts from the literature, and analyze the differences between SAE and ASTM bolts with a focus on material properties, dimensions, and quality assurance and inspection requirements. 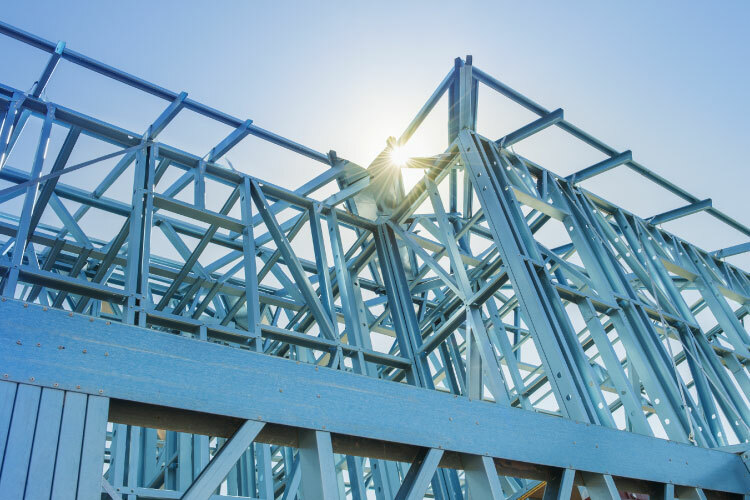 This project has the potential to establish a foundation for the future development of SAE bolted connection provisions to be included in AISI S100, North American Specification for the Design of Cold-Formed Steel Structural Members. Connector Shear Capacity Limited by Edge Distance in Cold-Formed Steel Design – Cold-Formed Steel Research Consortium. This project will explore connector shear capacity limited by the edge distance in cold-formed steel design and evaluate capacities provided in AISI S100. The connectors studied will include welds, bolts, screws, and powder-actuated fasteners (PAFs) as defined in AISI S100. This project has the potential to provide more optimized design outcomes for the fasteners near edges in cold-formed steel design. Review of AISI S100 Provisions for Screw Connections in Shear and Tension – University of Florida. This project will review existing provisions for screw connections in AISI S100 for loading in shear and tension, but not combined actions. If the predicted strengths for tension and shear limit states for screw connections can be more accurately predicted, this project will have the potential to provide savings in the form of lower factors of safety while increasing reliability, which will lead to more cost-effective and safer construction. The primary impact will be on steel roof deck and steel roof and wall panels, which usually are fastened using screws. Inelastic Lateral-Torsional Buckling Strength Validation for Non-Principal Axis Bending Using Numerical Methods – Cold-Formed Steel Research Consortium. This project will identify sections and parameters to be included in analyses, perform shell finite element buckling collapse analyses, and compare results to a proposed design methodology for AISI S100. This project has the potential to improve the design provisions for common nonsymmetrical shapes such as angles and eave struts, point-symmetric sections such as purlins and girts, and non-symmetric cold-formed steel sections which are increasingly desired when optimizing cold-formed steel cross-sections for shipping, architectural envelope, thermal and acoustic demands.